Real Inn Guadalajara Expo is a luxury 5* resort located in Guadalajara, Mexico. It features 163 rooms. 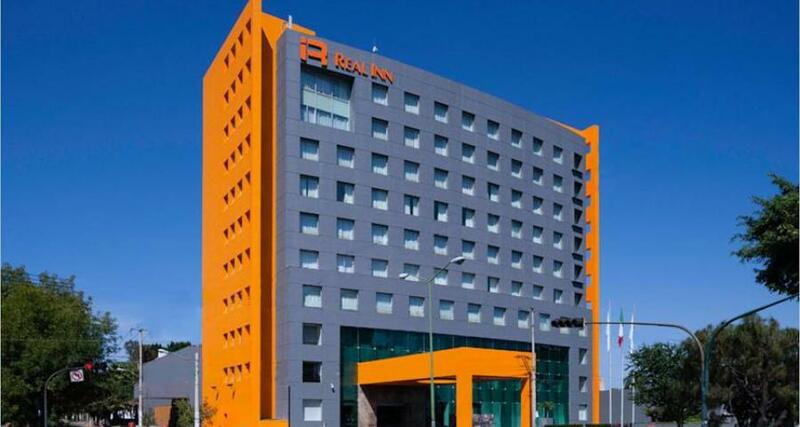 The contemporary architecture at Real Inn Guadalajara Expo reflects Mexican style, while the colorful design and different materials used combine to offer a peaceful atmosphere for relaxing. While staying here you can enjoy excellent services, useful facilities, and modern technology. Discover comfort and convenience with style in the city of Guadalajara when you choose to stay at Real Inn Guadalajara Expo! If you're a member of the chain's loyalty scheme, you can accumulate points for meals in the restaurants throughout your stay. Don't forget to take your card!